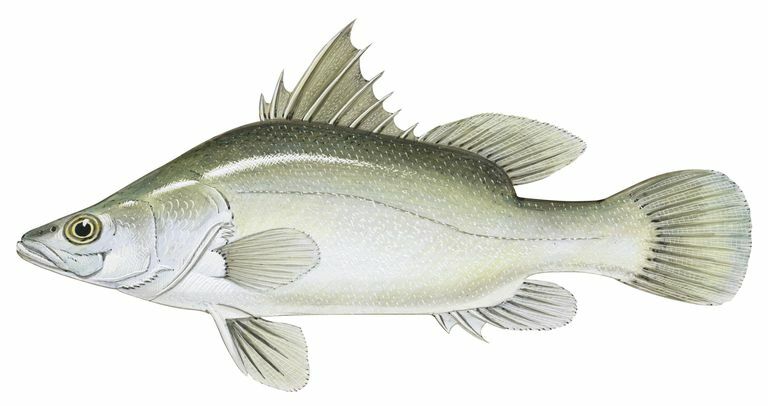 A member of the Centropomidae family and a relative of snook and barramundi, the Nile perch ( Lates niloticus) is one of the world’s largest freshwater fish, and one of the most highly valued foods and angling species of the African continent. It was cultivated by Egyptians in fish ponds at least 4,000 years ago (along with tilapia) and has been widely introduced to other areas, sometimes with disastrous results for native species. In some parts of their range, Nile perch up to 6.5 feet long and weighing 176 pounds have been caught and recorded by native fishermen and were once common. Much larger ones, up to 500 pounds, are said to have been taken in nets but have gone unrecorded. The all-tackle world record is a 230-pounder, caught in 2000 by trolling in Lake Nasser, Egypt. The Nile perch looks very much like a large version of its Australian cousin, barramundi. Juveniles are mottled brown and silver. By the time they are about a year old, measuring 8 inches long, they are completely silver. Adults are generally brown to greenish-brown above and silvery below. The top of the head is strongly depressed, and the tail is rounded (convex). The first dorsal fin consists of 7 or 8 strong spines, and the second dorsal fin, which immediately follows the first without a complete break, has 1 or 2 spines and 12 to 13 soft, branched rays. Large Nile perch have deep, distended bellies, and pack a lot of girth. The Nile perch is endemic to the African continent and exists naturally or via introduction in various river systems and lakes. The species was introduced to Lakes Kyoga and Victoria in the 1950s and 60s and became extremely successful, to the detriment of native cichlids and other smaller fishes., some of which were completely wiped out. In many if not most of the places where found, Nile perch are more valued for commercial and subsistence fishing than for angling, and pressures have made the largest specimens less common. Nile perch are voracious predators, which they have to be to reach their enormous sizes. Any abundant small fish are targeted, and tilapia are believed to be a primary food source, although they will eat other perch. Fishing for Nile perch is done primarily by drifting or still fishing with live bait, and by trolling with large plugs or spoons. Some casting may occur, especially in smaller portions of rivers where the fish are likely to be in pools or eddies. 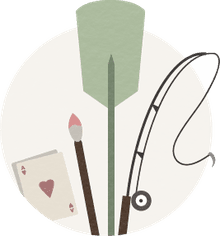 Casting may include the use of plugs, spoons, and large streamer flies. Bait may include any common fish up to a pound, especially tilapia, and including tigerfish. In lakes, anglers concentrate on rocky bays and inlets. Nile perch are good fighters in small and medium sizes and sheer brutes in the heavyweight class. They make several sustained runs and may take considerable line if large enough. Very heavy tackle is often used by anglers fishing with large natural baits and lures for giant specimens. River dwellers are much more challenging to land than those in lakes, especially by anglers who must fish from shore, do not have the assistance of boats to chase after running fish, and have to deal with swift currents and eddies. Behemoths can take hundreds of yards of line from a reel. Heavy concentrations of water hyacinths increase the level of difficulty of catching large fish in some rivers and lakes.